Go sailing Key West style on a boat commissioned by none other than famed General George S. Paton! Be awed by Key West’s beautiful blue horizon! Go sailing Key West style on a boat commissioned by none other than famed General George S. Paton! Be awed by Key West’s beautiful blue horizon and feast your eyes on sites including the old Customs House and the Wildlife Preserve. You’ll encounter sea turtles, sea birds and maybe even spot a pod of dolphins along the way! 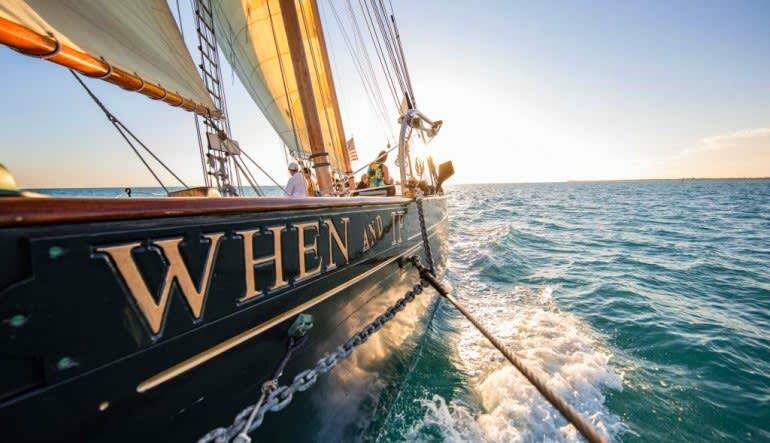 Travel Key West in George S. Patton’s famous Schooner, the When and If! Sail past Mallory Square and see the old Customs House. Travel out to Fort Zachary Taylor for great views of the Civil War-era landmark. Drift around Sunset Key and take in the beauty of Key West’s National Wildlife Preserve. 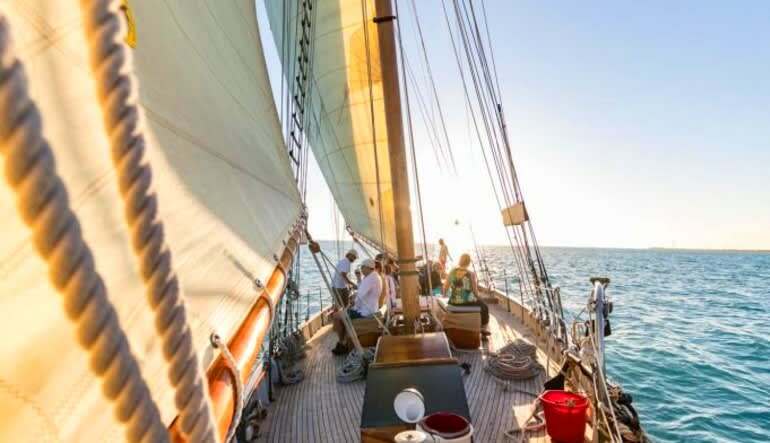 For over 75 years this schooner has been sailing Florida’s beautiful waters, which makes this day excursion not only fun, splash-happy experience but also a bit of a history trip. Always a man of adventure, Patton commissioned this schooner as a racing boat so expect to pick up significant speed when the wind kicks in!